They are short statistical snapshots of the campus community including students, staff, faculty, and graduates that are published weekly in the campus newspaper and on the local campus computing network. All sorts of characteristics drawn from reliable data bases are reported here. Several of the items are designed to reveal actual norms about alcohol and other drugs. New items appear regularly with multimedia videos, pictures, and other graphics. 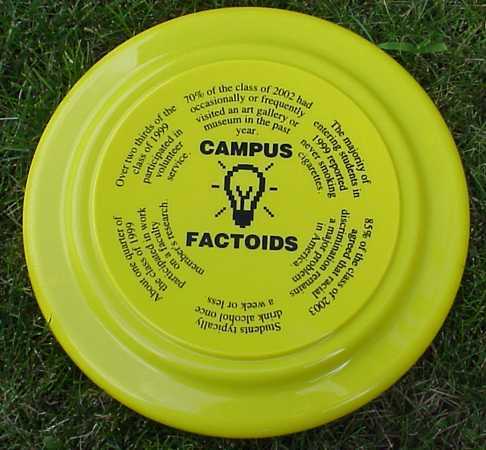 Campus Factoids is a program that displays normative information on campus issues in small info-bytes we call "Factoids". About one in five have to do with alcohol or other drugs. The others deal with characteristics of the student body such as political opinions, professional accomplishments, hours spent studying, and many other topic areas. The topics are drawn from a broad spectrum of sources to keep up student interest and to reflect the academic and social values of the community. Some "Factoids" are amusing, some are surprising, and some are disturbing. Each "Factoid" is accompanied by a brief description of the source of the data that the fact is based upon. 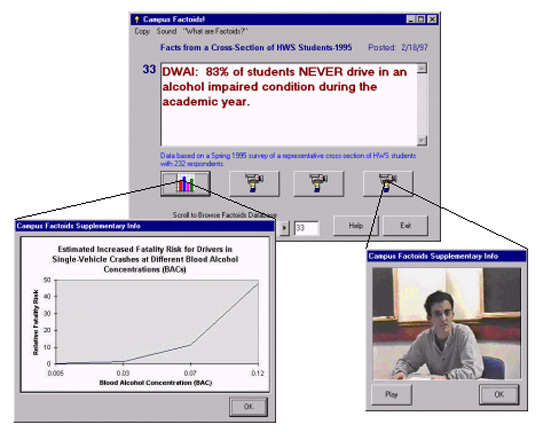 Short video clips of student presentations on related matters as well as graphs, charts and photos, can be displayed by clicking on buttons at the bottom of the window. 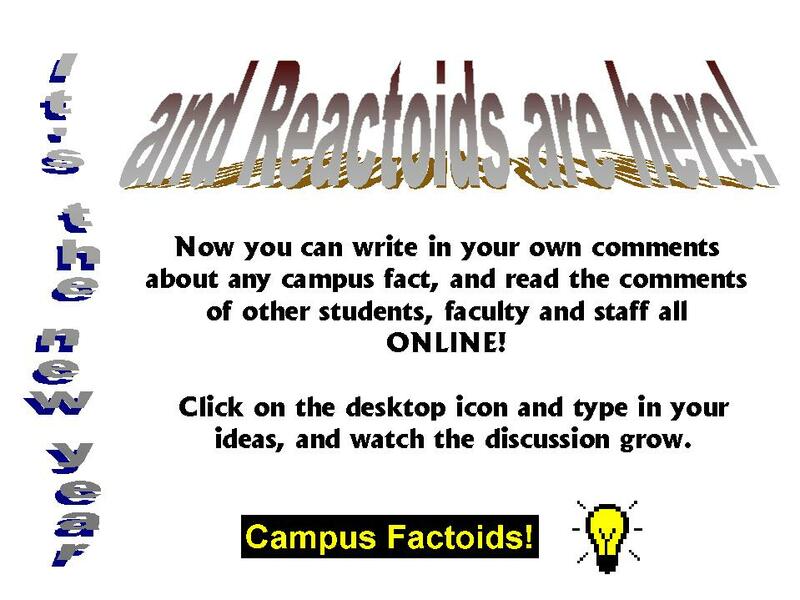 Students can submit reactions or "Reactoids" to "Factoids" by clicking on a button at the bottom of the window. A moderator must approve Reactoid submissions before others can view them. 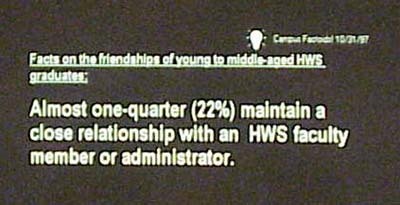 Interesting discussions can be generated on campus issues of broad interest to the community while at the same time, supporting the development of strong positive values by correcting misperceptions of campus norms on alcohol and many other areas of interest. 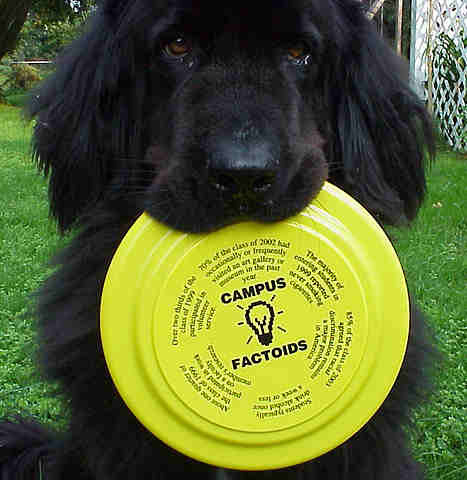 The Campus Factoids data base is a Microsoft Access database file that is held on the local hard disk but updated across the network from a server automatically as new "Factoids" are added to the master database. Any local institution can easily incorporate its own local data into the software using Microsoft Access97. All graphics and video resources are held on a network server for distribution as they are requested. Video files are copied to the local hard disk and then played. Multiple plays can be accommodated without downloading a new copy each time. The "Reactoids" database resides on a network server. Both databases can be distributed by SQL server or through network-installed Access database files. We have installed this program in ~200 open-access computers in classroom laboratories and the library with a shortcut icon on the desktop. It is now part of the standard software suite that goes out to all faculty, administrators, and office staff. In the first 2 years of its operation, we have logged 4,400 visits to this program on our campus of 1700 students and over one half of the 1998 senior class had accessed this program. 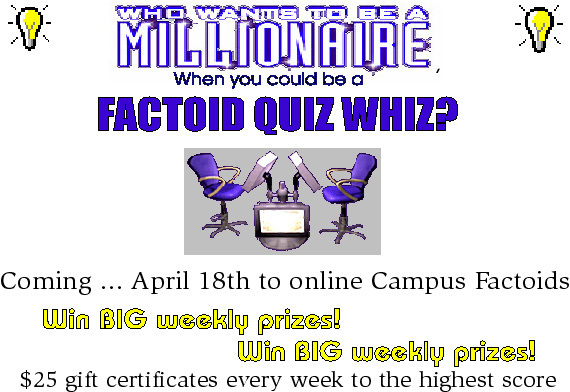 Campus Factoids runs on windows 95, 98, NT, 2000, and XP computers. The video clips are played through Microsoft's media player and must be installed on client machines. New!!! 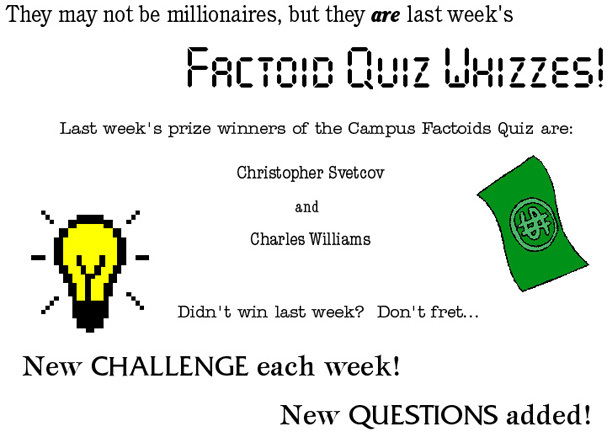 Campus Factoids Quiz Challenge! 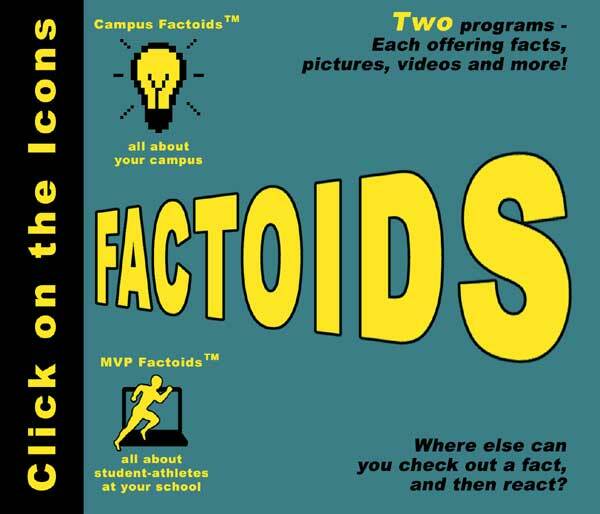 Here are some sample Screens from the electronic Campus Factoids! These images are graphic bitmaps of the application. They are not executable nor will they display video as the runtime program does. Here are some examples of Campus Reactoids in action. 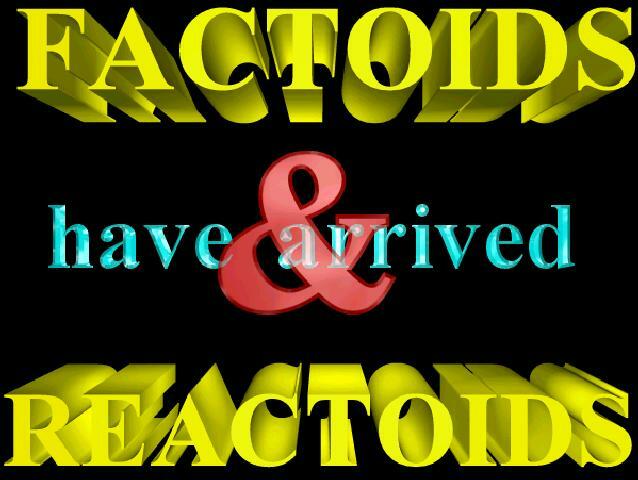 Here is a catalog of Factoid and Reactoid promotional posters. Here are some screen shots of our older Windows v3.1 version. 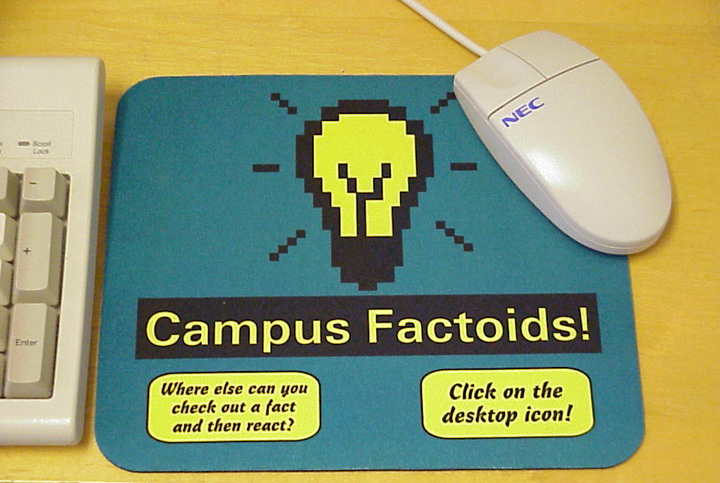 The Campus Factoids Screen Saver will randomly display factoids, graphics, charts and photos from the factoids database. This program has been installed in all open-access computer laboratories, the library, and now in all faculty, administrator, and office staff computers. 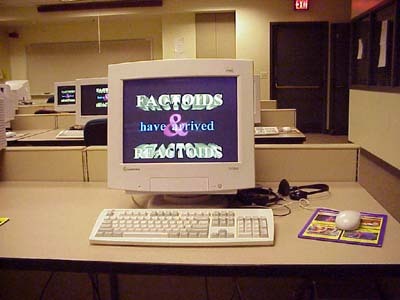 When the computers remain idle from work, they display a marquee of posters and "Factoids." 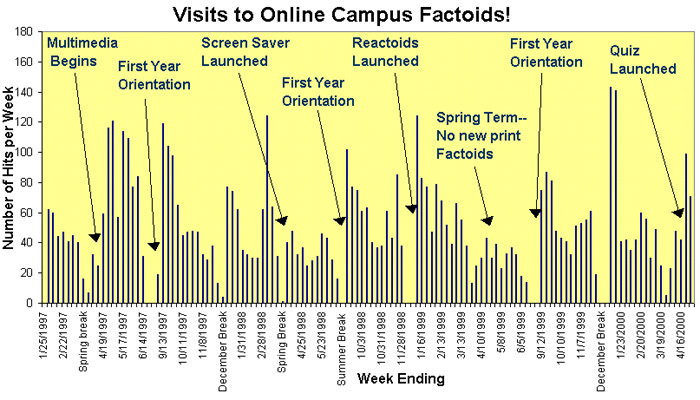 Recent informal surveys of a few classes indicate that more students use the screen saver as their primary access to campus factoids than the Campus Factoids program itself. 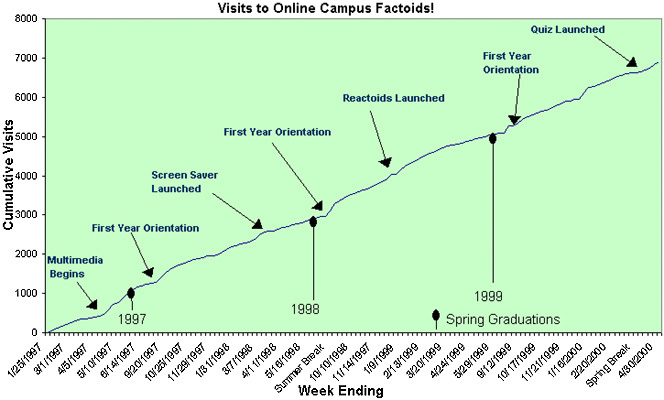 The graphic displays of the screen saver also seem to be attracting new users to the Campus Factoids application. 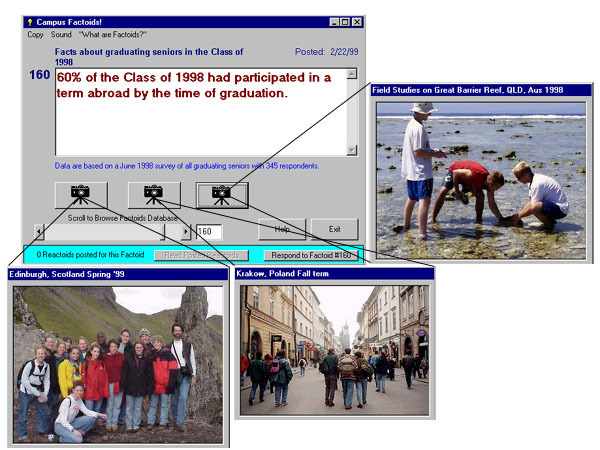 The screen saver uses the same local Microsoft Access database for "Factoids" and network distribution of graphic files. Database updates are received from the network automatically as "Factoids" are added. The graphic files are automatically copied to client machines through a configuration switch to reduce network traffic. 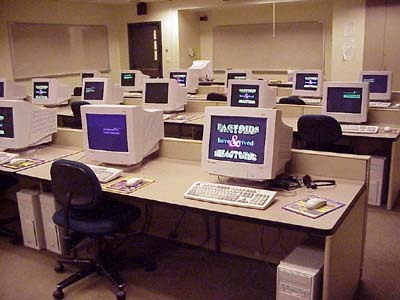 The Campus Factoids Screen Saver runs on Windows 95, 98, NT, 2000, and XP computers.